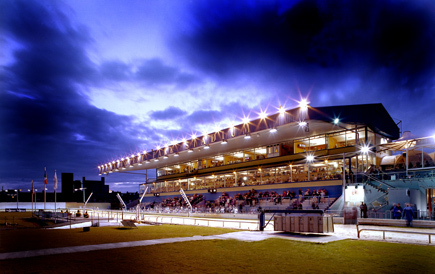 There's plenty of swatting-up to be done before our assault on the bookies for the 2017 Boylesports Irish Greyhound Derby Final meeting when again we are live on RTE for five races which will culminate with the crowning our industry champion for the coming twelve months. It has been a simply brilliant Derby with an astounding strength in depth and whoever does manage to claim the title will have completed one of the toughest assignments a greyhound could ever be tasked with. Let's hope for a cleanly run race, and may the best dog win! A few runners renewing rivalries from last week here when the ever entertaining Jaytee Patriot proved too strong in the home-straight and he will surely be very popular in the market again now. Having said that though, I would imagine that most bookies would be happy to lay him at short odds, as they would any runner who is almost guaranteed to be negotiating traffic in the latter stages. Conversely, I'm reluctant to plough in with a dog at short odds for the same reasons and am looking elsewhere for the winner while fully fearful that Patriot could make me look silly. There are no prices available as I type but I suspect Liscaha Brett may be second favourite with Redzer Ruby and my selection Kiltrea Brian next in. The latter is no slouch in the early stages of 6-bend events and posted his best ever 4-bend clock in a cracking 600 run at Enniscorthy last time out. That came soon after a game 750 win on his sole visit to Cork which allays some of the concerns about racing at Shelbourne for the first time but the exciting new recruit to staying events broke the 725 yard record at Kilkenny at just his second attempt over 6-bends in July. 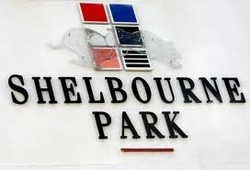 New recruits to Shelbourne can often be a touch dismissed by those who form the markets and I'm hoping we might see that now. I would like to see him clear the two runners on his inner before the first bend but if left to race independently, I expect him to be in control by the third turn while in advance of some strong types who could complicate Patriot's inevitable late challenge. Such a high class event and it will be interesting to see where the market settles but three runners stick out for me and I'll plump for arguably the unluckiest runner of the entire Derby. 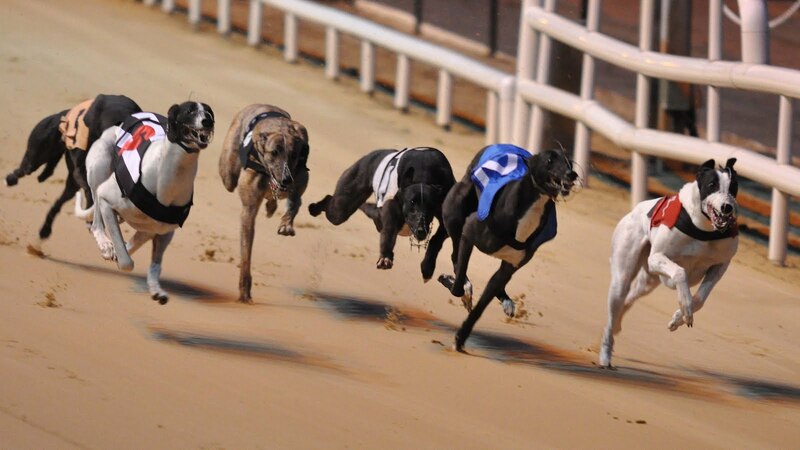 Becoming a real contender in the main event, Droopys Cabaye was beginning to display all the attributes you would wish to see in a prospective champion before unceremoniously stopped in his tracks when Tyrur Harold decided Trap 5 was way too far from the rails when leaving the boxes in the quarter-final. He didn't do much wrong out the boxes then and was coming away very well in the early rounds. A fortnight off should have him primed and I can't see the runners either side encroaching on his early racing line now. Of course there is danger in the race and the biggest is Vancouver Shea who I am a big fan of, but he is too hard to predict! When he gets it right at traps, he's sensational. He could have this over after 50-yards if he breaks like he did the last night, but in this company he may have to! The highly respected Swithins Brae will need to contain Milldean Skip on the run to the bend if he is to deny the selection and we're in a spot of bother if he breaks well but it has to be Cabaye for me as the most likely to give his running. A mouth-watering affair with a few names that would not be out of place in a Derby Final list although all bar one are venturing into unknown territory, albeit only by 25 yards! Outsider Knocknacree Sky is the only runner to have raced beyond 550 with a career best in Tralee last time and 25/1 may be a little too dismissive of a runner from the Dan Brassill kennel which always merits respect. However, he is up against it here with high class opponents and immediately Cahir Castle sticks out as a runner who will relish 575 yards. I did think he was a bit flat footed in the early strides when exiting the Derby second round though and he will need to be sharper here as there is a runner I don't believe he will pass if getting behind. 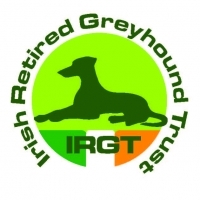 Drive On Tipp is on my short-list of the very elite greyhounds currently racing, as is Native Chimes beside him. Tipp can make an odd mistake and seems to get thoroughly punished when he does but he was unluckily crucified at the first bend in the Derby quarter-final and the long run to the bend now can see him gain compensation if repelling Native Chimes early on. That's not to adamantly say that they will be in the lead at that stage because both Fweshfromthesesh and in particular Whoops Jack will be expecting to be vying vigorously for the chance to turn first. Whoops Jack is a special talent but oh so inconsistent and this appears an attempt to get him back on the bunny. If he breaks well, he will lead but even then I'm not convinced he will stay the 575. I'm not convinced Native Chimes will be powering home to the 575 yard finish line either and although Drive On Tipp needs to lead Cahir Castle to halfway, of the unknowns, he is as likely to relish this test as any else while no slouch in the early exchanges when given clear space either. 5/2. Fast Fit Alex has had good draws in this event and is taking advantage. Again he is drawn on the right side of danger here and can come away better than he did last week so defending the rails against Jaytee Dutch is highly likely. Last week's flying exit from 2015 Czech Puppy Derby winner Ballymac Galway is far from certain to be repeated and we are likely to see a repeat of last week's semi-final with Alex trying to chase down slick early pacer Cometwopass. Alex would not want to find his back-side blocking his challenge at the closing bends for if so, Dutch will close right up and be back in contention with his power-packed finish but overall it is folly to ignore game runners of high quality when presented with an ideal draw....and that's what Alex is here! Around 6/4. I'll keep it simple for the final, I'm with Good News and the deciding factor is that he seems to be taking the runs as well if not better than any in the field. He'll be plenty short enough at 7/4 however and I would like to be holding a ticket from an earlier stage. The big concern for the favourite is the runner on his inside and if we could swap traps with Hey Bound, I think Good News would prove too strong to contain. In the opening round of the Derby, we had Sonic in Trap 6 with Hey Bound on the inside of Good News. Sonic enjoyed an easy win but was all of ten lengths in advance of the selection because Hey Bound went to the bend on the inside of Good News and the pair endured plenty of bumping before he eventually got round the plucky Cronin runner. That's the big task that Pat Guilfoyle's hopeful faces upon leaving traps now. He must lead Hey Bound by enough to turn cleanly, probably three parts of a length needed to shy him out of it. If he can accomplish that, he is expected to run down likely leader Buckos Dream. Good News presented as a very fresh dog last week and for that reason I'm sticking with him to produce under pressure. My main contention ahead of the race is that only two dogs can win this Derby.....those being Buckos Dream and the dog that turns in second place. For the rest are strong runners and if occupying second position on the back-straight, are unlikely to be passed. Black Farren can win if Hey Bound shoves Good News out at the bend; he can sneak beneath the pair and possibly turn second before running down the leader. Jaytee Jet's one and only way of winning is by breaking well, preventing Sonic from flying around the outside at the bend before setting off in chase of Bucko. Sonic can win by tracking Bucko for a clear run around the bend but he will have to do it off a decent break to make sure nothing comes running off the bend into his path. The realistic chances for our finalists are more wide ranging than the market would suggest for I don't think Sonic and Good News have massively more plausible claims than say Black Farren or Buckos Dream and the latter in particular has the simplest path to victory. We could be watching a complicated tussle at the bend to see who can possibly turn second, but that tussle may be for minor places because their is no guarantee that Curly Mike's blistering early pacer will stop in time to oblige the stronger runners.